Today, 77 percent of Americans go online every day, according to a recent Pew Research Center survey, and most of us maintain at least some kind of digital data in the cloud. We save emails, post to social media, and store photos in online albums. All of this digital information has created a new issue for you, your heirs, and the technology firms that hold your assets. The key concern is maintaining your privacy and security and determining who can legally access this information upon your death. A statute called the Revised Uniform Access to Digital Assets Act provides a legal path for fiduciaries (such as your executor or attorney-in-fact) to manage your digital assets if you die or become incapacitated. But under the law, which has been adopted (often in slightly modified versions) by most states, a fiduciary can access your digital assets if, and only if, you’ve given proper consent. Digital assets include your online accounts, your emails, your social media, online photo storage, personal websites or blogs, URLs you own, and more. Even though many digital assets have no value, you may want some control over what happens to them when you die. Think about whether you want your assets deleted, modified, or distributed to family. Until the uniform law was enacted, it was difficult to know who had a legal right to access these accounts and files. Some user agreements indicate that these assets are non-transferrable, meaning they are either untouchable or can simply be deleted when you die. Beyond privacy issues, some digital assets do have value. Frequent flyer points are transferrable after death, credit card points can be redeemed, and URLs may be saleable. Under the uniform law, your family members or executor can’t access your digital assets just because of your relationship. Other users, including family members, need express authorization to access your accounts and information. How can you ensure your executor and/or family have access? Insert a provision in your will that grants your executor the authority to access digital assets and accounts. If you want someone other than your executor to access your digital assets, you can appoint a special fiduciary for that specific purpose. Add language that grants your power-of-attorney authority to act on your behalf in terms of digital assets. Inventory your digital assets and provide your executor with the necessary passwords. Some on- line password managers can be set up to transfer passwords to a representative on your death. 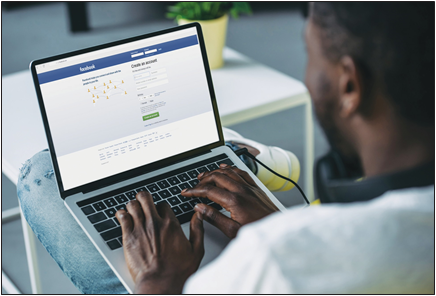 Designate a digital guardian in any online tools that offer such a feature, such as Facebook’s “legacy contact” and Google’s “account trustee.” This is someone who will look after your account after you’ve died. Be aware, however, that under the uniform law any such settings will override conflicting instructions you leave in your will. Lower income tax rates make this an attractive time to convert your traditional IRA into a Roth IRA. By converting, you’ll pay taxes on those funds now instead of at some future (likely higher) rate. The main hurdle will be paying taxes owed. If you convert $50,000 from a traditional IRA to a Roth, your taxable income will increase by $50,000. If you’re in the 24% tax bracket, that amounts to $12,000 in taxes owed. That might feel like a hit now, but it could be a financially sound decision, particularly if you expect to be in a higher tax bracket later in life. Remember, in a traditional IRA, the contributions you make are tax deductible, meaning you don’t pay taxes up front. But when it’s time to withdraw funds in retirement, those withdrawals will be taxed as income. With a Roth, the opposite occurs. Contributions to a Roth are made with after-tax dollars. At retirement, you can withdraw those funds tax free. It’s not likely that tax rates will go any lower, meaning now might be the time to lock in your best possible rate. To avoid taking the tax hit all at once, you might stagger the conversion over several years. Additionally, you should consider a strategy that allows you to convert as much as possible each year without bumping into a higher tax bracket. Certain income limits apply for anyone who wants to contribute new money into a Roth, however, anyone can open a Roth and transfer their traditional IRA balances in. You believe your tax rate will be higher in the future. Some investors may want to wait until the end of the year to have a better understanding of market performance and their income tax burden before making the conversion. Be aware that, under the new law, Roth conversions can no longer be undone. Talk to an advisor for help in analyzing the tax advantages and optimal timing. 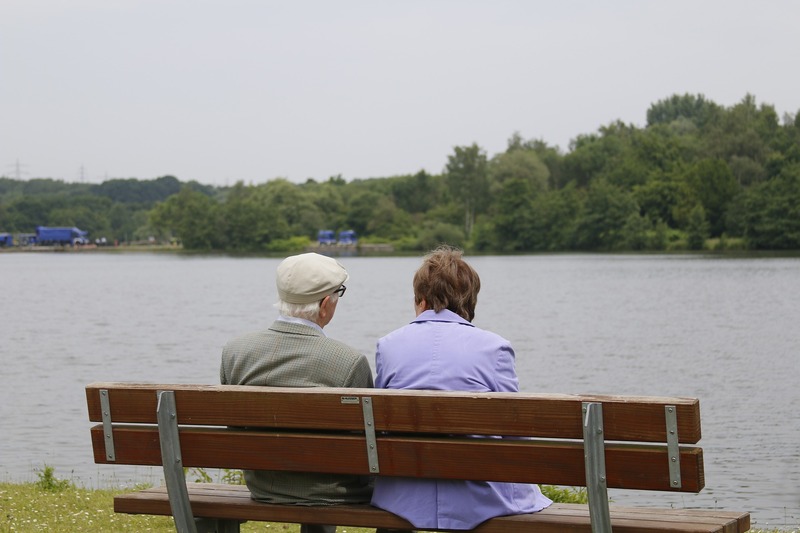 Are your parents adequately prepared for retirement? If not, are you planning to help them out? In many families, one or more adult children will step up to help Mom and Dad when they can no longer safely take care of them- selves. That could mean time away from your family and job or pitching in financially to cover a variety of expenses. Your parents will inevitably need some care in their retirement years. If they’re not prepared to pay for it on their own, you might consider it as part of your own estate plan — particularly if you have more disposable income than they do. Long term care insurance is a way to manage your parents’ care needs, improve their quality of life, preserve their assets and even their dignity. For some busy professionals, buying long term care insurance for their parents is an option that makes sense, not just for their parents’ well-being but for their own work-life balance and peace of mind. Recognize that Medicare will only pay for skilled nursing care for a limited time. It won’t pay for custodial care (help with daily living activities like bathing, dressing, or moving around) and it won’t cover nursing home expenses. If your parents can’t afford care and don’t have a family member to help them out, their only option may be applying for Medicaid. But they’ll have to exhaust nearly all their assets before government assistance kicks in. If you expect to be a caregiver for your parents, either financially or personally, talk to an estate planning attorney. They’ll help you consider whether long term care insurance or other asset protection efforts make sense for you and your family. At any age, the death of a parent is a difficult experience. But these days more adult children are dealing with an added stressor: the realization that Mom or Dad died with debt. In the past decade, there’s been a steep increase in debt among senior households. According to a report from the Employee Benefit Research Institute, half (49.8 percent) of families age 75 and older have debt, averaging $36,757. Your parent’s executor will need to sell estate assets to satisfy any debt, but if there are still bills left over, you probably won’t have to pay them out of your own pocket. State rules vary, however, and roughly 30 states have (rarely enforced) “filial responsibility” laws under which you could be held responsible for a parent’s unpaid medical bills. Consult a lawyer. It’s a good idea to consult a lawyer, particularly if your parent transferred assets to your name or made any other moves to protect his or her estate from creditors. A lawyer can ensure you’re following state law and can help you under- stand which debts get paid first out of the estate and which come last. Copyright eligibility. The first step is understanding what constitutes a copyrightable work. Protection is available to origi­ nal works that are either written or otherwise recorded, includ­ ing literary, musical, artistic and certain other intellectual works. These categories are to be interpreted broadly and can include maps, architectural plans, buildings and mobile apps. Registering a copyright. Next, ensure that the artist’s assets have been registered with the U.S. Copyright Office as this pro­ vides certain legal advantages and protections. Applications are available online and are fairly straightforward . Note, however, that artists are not eligible to register a copyright when a work was created under an employment contract or “work for hire’.’ For example, an artist who created greeting cards as an employee of stationary company would not be entitled to register a copyright on those works. Copyright recapture. Be aware that even if a copyright has been sold, an artist’s rights to that work may not be gone forever. Copyright laws allow the creator (or his/her heirs or executor) to recapture a copyright. The law was created to address the injustice that occurs when a creator sells a copyright before the true fair market value is known. An artist, essentially, has a non­ waivable right to terminate transfers and licenses granted by the copyright owner. Generally speaking, copyrights signed away after 1978 are eligible to be recaptured after 35 years; copyrights signed away before 1978 are eligible to be recaptured after 56 years. After that time period, however, artists and their heirs have just a five-year window to effect a recapture. Other estate planning issues can come into play concerning how artists’ assets can be assigned to heirs via wills, trusts and other wealth management strategies. Artists must be careful that the work and the underlying copyright are both transferred as intended. Talk to your advisor.